A fair number of today&apos;s new boaters come to the water with an automobile-centric orientation - and not the kind of cars we grew up on, either. They&apos;re driving sophisticated, gadget-rich vehicles with computer-controlled systems that don&apos;t make tinkering under the hood easy, even for those few who are so inclined. Understandably, when they buy a boat, the psychology of ownership, usage and service is often more akin - and certainly more appropriate - to four-wheelers than to those wonderful, maddening creations that are pointy at one end and square at the other (apologies to all the lovely double-enders out there). "They think you should be able to turn it on, go out, come back, turn it off and walk away from it," says Maine yacht designer Mark Fitzgerald. "People don&apos;t want hassles. It has to work." It&apos;s supposed to work and run and steer, well, just like a car. We all know that boats aren&apos;t cars and that that perspective and naïveté can get you into trouble on the water. It&apos;s the wisdom in the punch line to the old joke, What&apos;s the difference between a boat and a car? When your boat breaks down, you can&apos;t just pull over to the side of the road and walk home. Know-How columnist Mike Saylor is fond of rattling off his shorthand axioms of seamanship: "Don&apos;t sink the boat; don&apos;t run her aground; get to where you are going; and return with the same crew you started with and all in one piece." It&apos;s that simple - and that difficult. The bottom line is that nothing takes precedence over your safety and that of your crew. To that point, this issue of Soundings contains several stories that center on practical information, know-how and common sense, three attributes that will always serve you well on the briny. "Common sense," the late Bill Brogdon once told me, "is an uncommon commodity." A retired Coast Guard captain, Bill was a respected safety expert and consummate waterman who was a master at separating real-world, practical advice from theoretical mumbo-jumbo. He and I would have enjoyed discussing several stories in this issue, and then invariably using them to springboard over the decades to other stories, with their own hard-learned lessons, some with hard-luck endings. "You know," he&apos;d say, "I had a case late one fall involving a fisherman who was overdue when I was in charge of search-and-rescue in Maine." And off we&apos;d go. Here are four stories in this June issue that I know the captain would have taken particular interest in. How does a 2-year-old, $4.5 million, 75-foot yacht sink in her slip? All it takes is some sloppy, ill-conceived aftermarket plumbing. Talk about learning the hard way ("Plumbing failure sinks $4.5 million yacht in slip"). If it could happen to veteran frostbite sailor Christopher Marrs, it could happen to just about anyone. On a sunny day last December in southern New England, Chris found out about the insidious nature of hypothermia ("A chillingly close call for a longtime frostbiter"). For a fresh voice on a timeless subject, I direct you to Adelaide Northrop&apos;s well-told account of a bluewater passage that went bad because of the hubris of the captain ("&apos;Training&apos; cruise was anything but"). Tom Neale separates the dream of living aboard from the realities of the lifestyle as well as anyone I know. 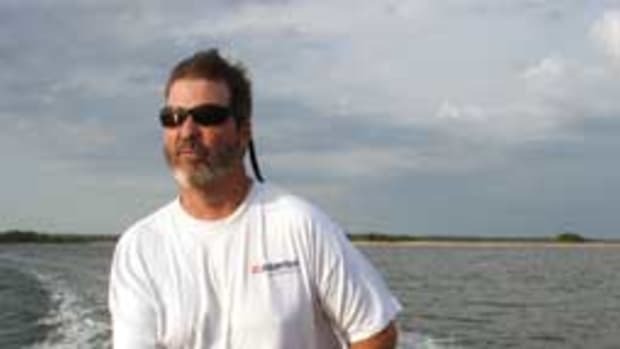 When he discusses seamanship, as he does this month, it&apos;s from the perspective of someone who&apos;s raised a family on the water, knocked around the Bahamas for years and still traverses the ditch in spring and fall ("Don&apos;t shortcut the learning curve"). Experience, preparation, anticipation, situational awareness - those are the qualities that keep the boat right-side up and the water on the outside of the hull, where it belongs. And don&apos;t underestimate the value of continuing education, whether formal or from the school of hard knocks. There is no substitute for time on the water. You learn so much just being out there over the long haul. Tips, smart shortcuts, dos and don&apos;ts. And you get a little wiser from your mistakes, hopefully small ones. Sometimes it almost seems to happen by osmosis. 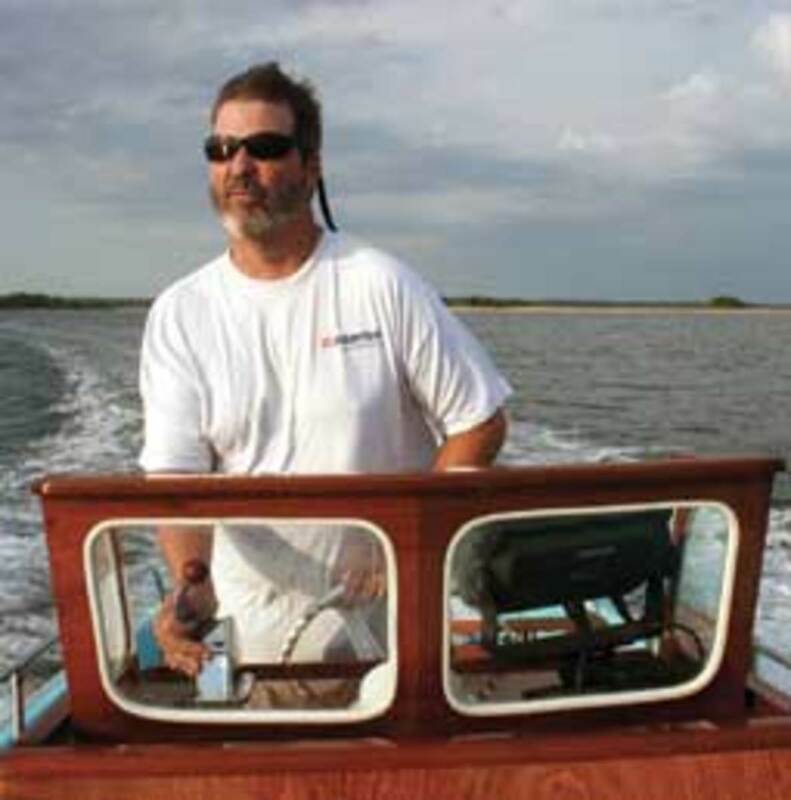 I try to remember a little advice from the good captain: "Running a boat," Capt. Brogdon used to say, "is a full-time job. If you don&apos;t stay alert, you&apos;re going to miss something."